All the competitors and teams, all in all some 700 people gathered for the official competitors briefing presented by the ASO organiser Etienne Lavigne and race director David Castera. The emphasis is on sporting conduct and safety. 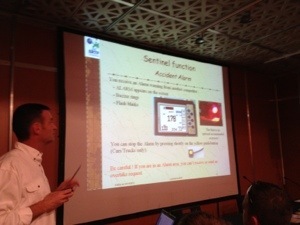 And of course the spirit of the Dakar rally which is important: it’s not a race, it is THE RACE! After the briefing all competing vehicles rolled over the starting podium and made a presentation before driving a loop for the public waiting to celebrate the competitors. Garry and I had a great drive round town, waving, honking, and I even jumped out and danced in the street for all the people. I think we got some new fans along the road! In the evening we packed everything for the race car and I made my road book, which is colouring and making notes to help me while navigating for Garry. 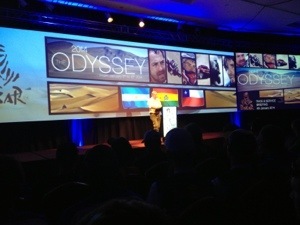 Now the Dakar 2014 really kicks off! About a million spectators kicking off the greatest event of the year. 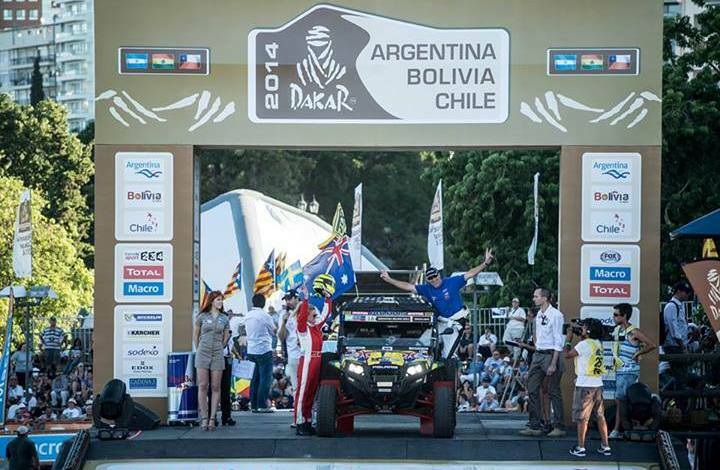 This entry was posted in Dakar and tagged annieseel, Argentina, buggy, dakar2014, garryconnell, offroad, polaris, rallyprincess, Rosario, video, xtremeplus. 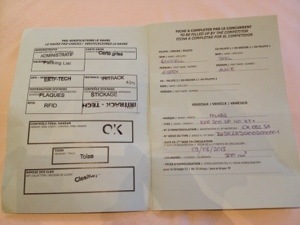 We made it through admin check and technical verification. 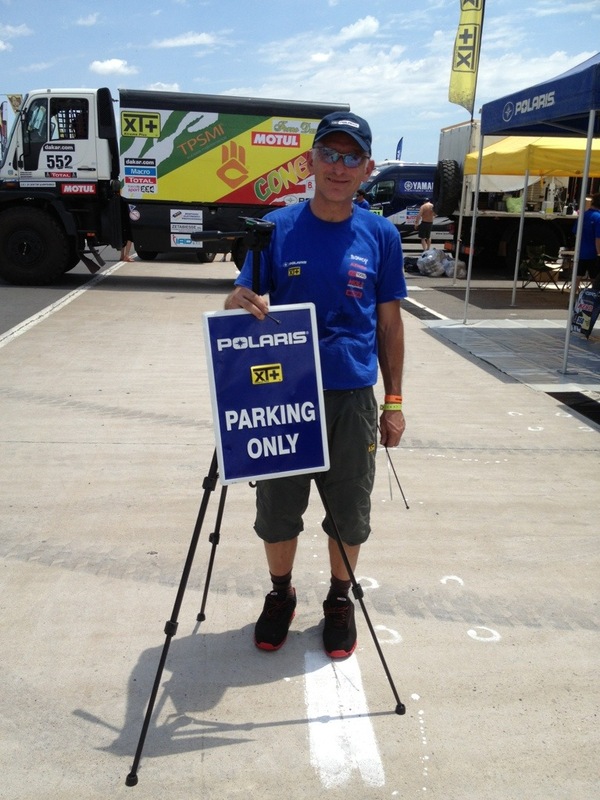 Now ready for Dakar 2014! 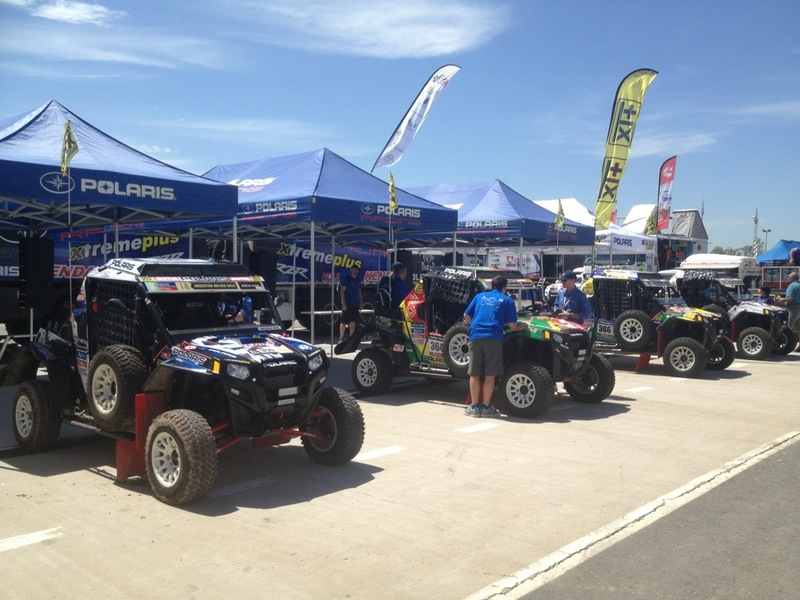 ” Xtremeplus Polaris Team ready to launch the Dakar 2014. The road to get to (Province of Santa Fe in Argentina) is long, but it is even longer to arrive to the finish line of the world’s toughest race: 9209 km, of which 5212 will be timed specials. 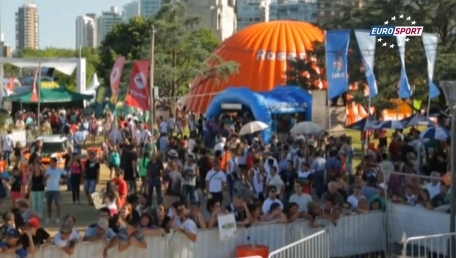 The Xtreme Plus Team arrived to Buenos Aires on December 31 to take their vehicles at the port, and drive them to Rosario to put the finishing touches before the race. 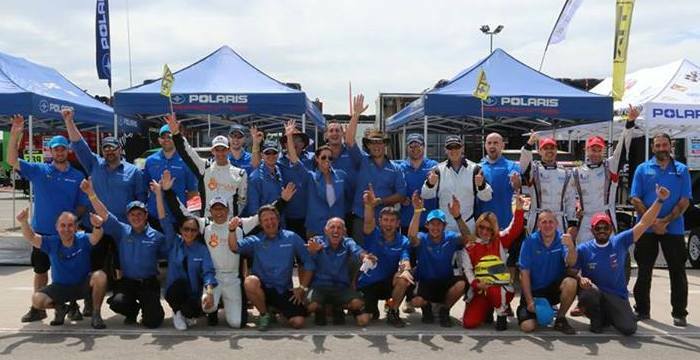 On Friday January 2, at noon, the team of 28 people lead by Marco Piana was presented for the technical and administrative scrutineering. 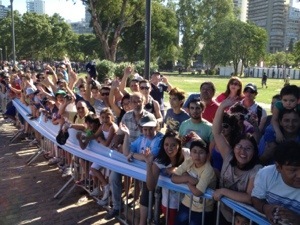 The four crews took their RZR to Parc Fermé located next to the monument dedicated to the Argentinean flag, close to the river and not so far from downtown. 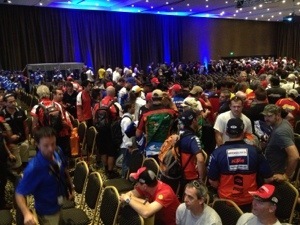 The team environment was friendly, and everyone waits for the launch of the race tomorrow, January 5. 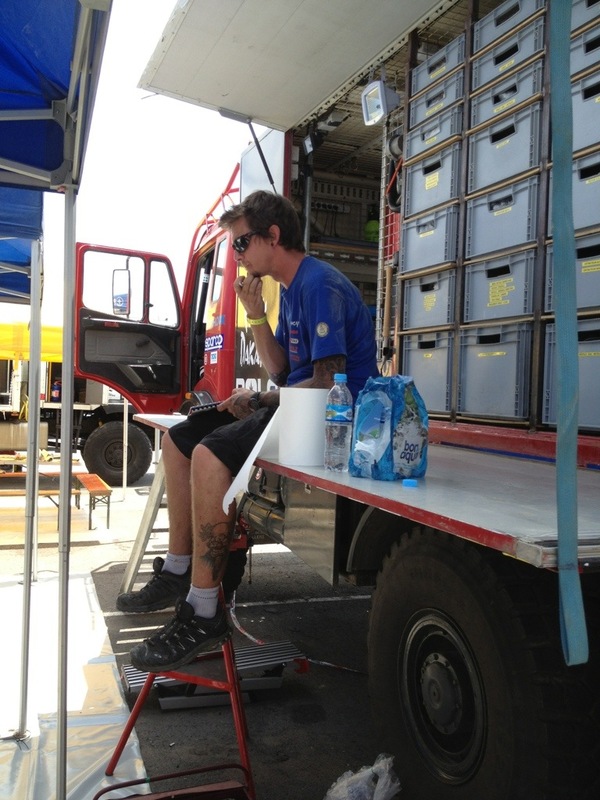 This entry was posted in Dakar and tagged annieseel, dakar2014, garryconnell, rally, rallyprincess. 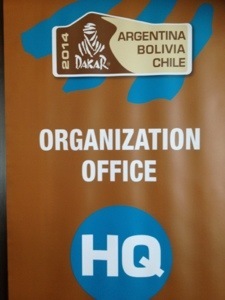 Dakar 2014 administrative check and technical verification. All the team competitors and mechanics in Xtreme Plus getting ready for the day’s administrative check and technical verification. We rolled in like a blue wave at the Casino City Center. 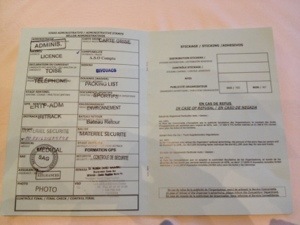 Competitors have to show racing license, drivers license, insurance doc, medical file, pass security briefing incl GPS information… Also mechanics have to fulfil many criteria and pass the control checking. Vehicles are controlled for safety, like roll cage, belts, safety equipment, and that it confirms with the technical regulations. 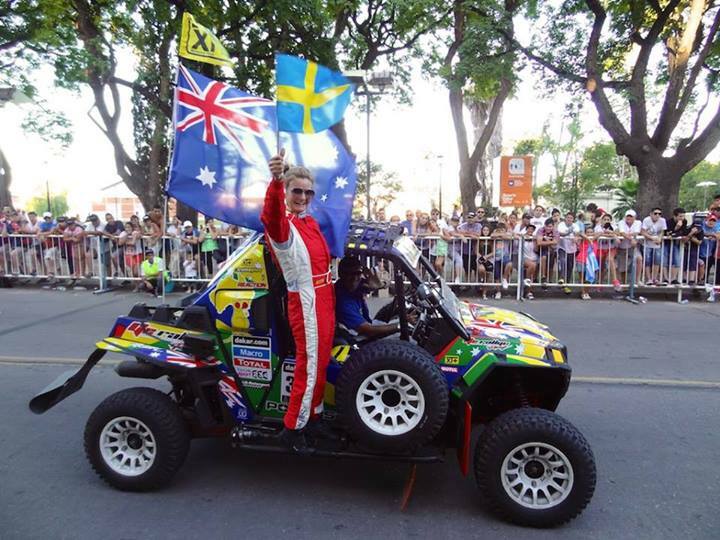 This entry was posted in Dakar and tagged annieseel, buggy, dakar2014, garryconnell, polaris, rally, rallyprincess, xtremeplus. Storm and rain today. Teams are busy for last preparation before the inscription and technical verification. Garry and me sorting out equipment. 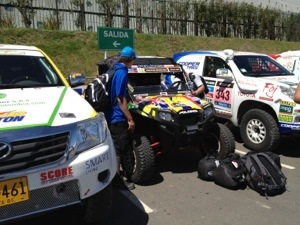 This entry was posted in Dakar and tagged annieseel, Argentina, dakar2014, garryconnell, rally, rallyprincess. 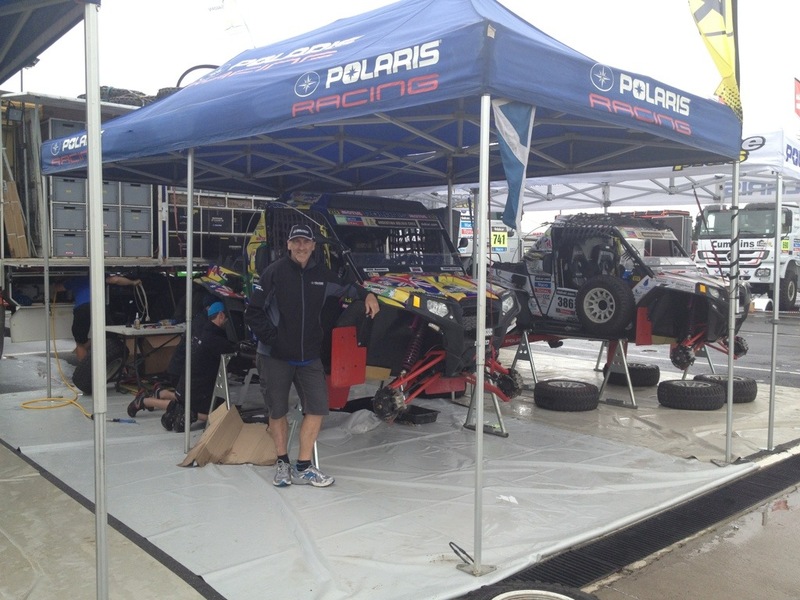 Garry Connell and me are settling in our office #366 for the Dakar 2014. Many hours will be spent here. 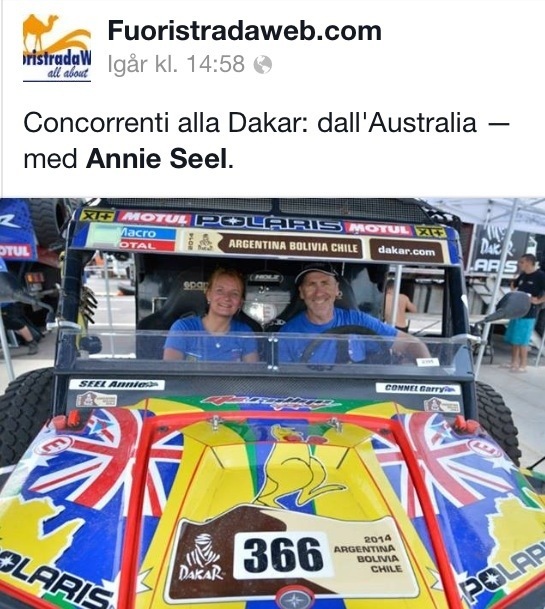 This entry was posted in Dakar and tagged annieseel, buggy, Dakar, garryconnell, rally. Tents up, bags out, repack.. hot, hot, hot! 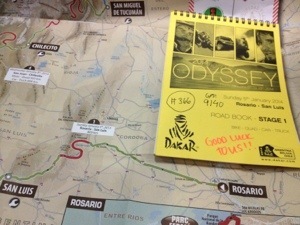 This entry was posted in Dakar and tagged annieseel, buggy, dakar2014, garryconnell, rally, rallyprincess, xtremeplus.